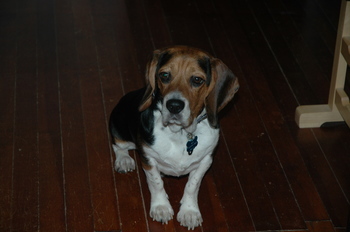 Please join us in wishing our little guy, Ben "the Beagle" Roethlisbeagle, a happy birthday! He turns one today (at least we think he does based on the information the shelter gave us). As you can see, he certainly enjoyed the birthday present his aunt Kimberly gave him on Saturday. Tonight he will dine on expertly prepared lamb and rice dog food and non-vintage tap water. But, he will certainly enjoy a few extra treats on his birthday. Mrs. LENNDEVOURS and I spent last weekend in beautiful Schoharie, NY with her family. It was the first time we'd been home since our wedding in early July. 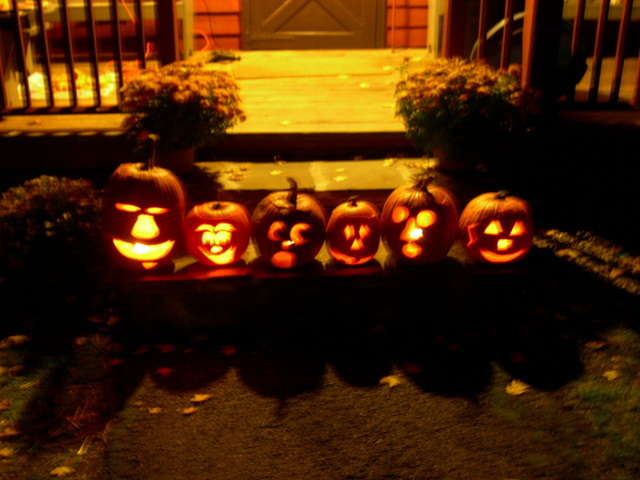 As always, a fun time was had by all -- particularly at the now-annual Pumpkin Carving Party. 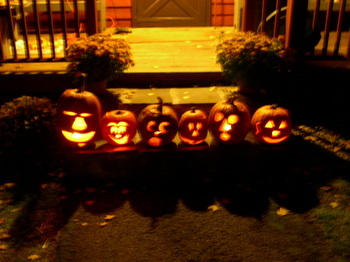 (the one on the far left, with the off-center goatee, was our contribution). In the coming days I hope to bring a bit of Schoharie's local flavor to LENNDEVOURS, including a review of Sweet Thyme Cafe and a piece about Schoharie Valley Farms -- known locally as the Carrot Barn. If you’re like most Americans, you’ll drink that bottle of wine you bought today within the next few days. In that scenario, how and where you store wine isn’t nearly as important as if you buy a case of Long Island’s finest Merlot and want to age it over the next decade. If tasting how a wine changes as it spends time aging in the bottle is important to you, how and where you store it is paramount. And yes, there are many wines made locally that are worthy of such aging. 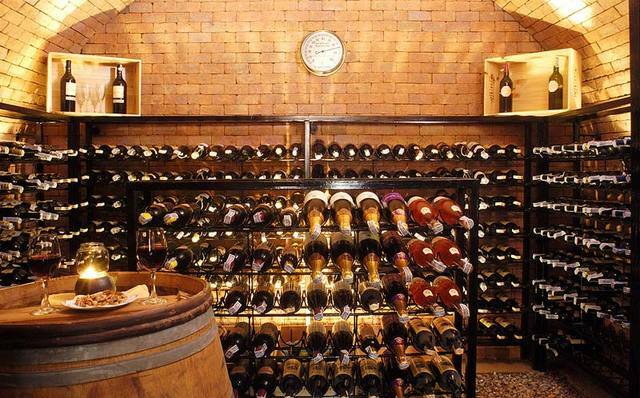 First, we all know that wine should be stored on its side to prevent the cork from drying out, so temperature is probably the most important consideration. The complex chemical processes that happen as wine ages take place faster at higher temperatures. That may sound like a good thing, but storing wine at a higher temperature for five years won’t result in a wine that tastes like it’s been aged for ten. This high-temperature “speed aging” will result in muted, less complex flavors, something nobody wants. If wine is kept at too high a temperature, the wine will “cook” – completely ruining it – leaving you with flat, flabby, stewed flavors. Not good. As a wine (and food) blog that focuses almost entirely on New York wines, I don't often find myself getting much pub, but I got an email today from the editors at Top TenSources letting me know that LENNDEVOURS has been chosen as one of the top Internet sources for information on regional wine. It's pretty cool to be included...and I'm glad to see some of my blogging friends on the list mentioned on the list...and in part one (wine reviews) and part two (wine news & commentary) of the series. 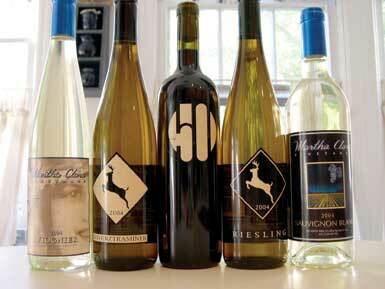 2005: One of the Best Harvests for Finger Lakes Vineyards? I've long been a fan of Finger Lakes riesling (no shock there) gewurtztraminer, and to a lesser extent, chardonnay -- but few reds from the region have ever done much for me. They tend to be "green" with simple flavors and less-than-ripe tannins. 2005 could change all that. The 2005 growing season was almost universally outstanding throughout New York, and according to the National Weather Service in Buffalo, the Finger Lakes region had its fourth warmest summer in 100 years, making it great for ripening reds in this usually much cooler area. While rain leading up to and during harvest made for less than ideal conditions, the Finger Lakes vineyards were apparently not as affected as Long Island's. Maybe we'll see some great cabernet franc, merlot and pinot noir from the 2005 vintage. It can only add to the region's reputation and hopefully open more doors for them as well. 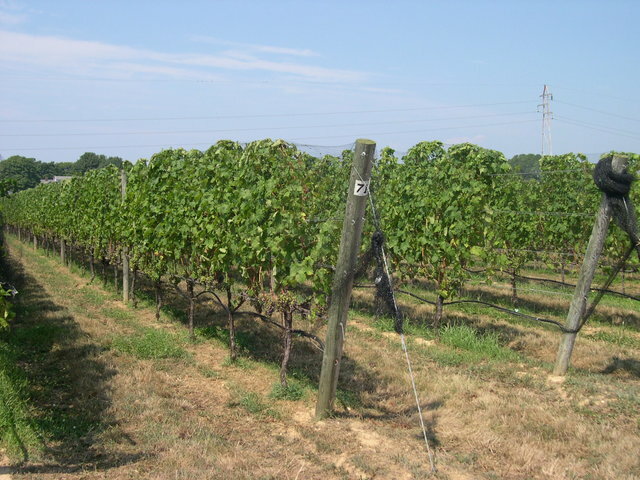 U.S. DoA to Help "Devastated" Long Island Wineries? Much has been written in various New York media outlets about the heavy rains Long Island has endured over the past few weeks. At one point, certain locations on the East End received 17 inches of rain in an eight-day period. That is definitely a lot of rain -- especially after a summer where we endured near drought conditions (less than two inches over three months). Now, senators Chuck Schumer and Hillary Clinton are seeking federal funding assistance for Long Island's "devastated" wine region. On the other hand, there were some growers who lost significant portions of their red grapes, and I certainly do not want to downplay that. I feel bad for them and hope they can use their white grapes to get them through this year. The vineyards that weathered the storm the best were the ones maintained the most meticulously throughout the year. That just makes sense...the vines that were healthy all season long were the healthiest when the storm hit and most prepared to fight Mother Nature (a fight one never ever wins). I'm not going to pretend to know the financial situation of the local wineries, and I'm sure they'd welcome the federal aid regardless, but I think calling the rain "devastating" is an absolute overstatement. I still have extremely high hopes for the 2005 wines once they are released and plan to taste some of them in tank and barrel over the next few months. I'll let you know how that goes. In mid-September I announced the Wine Blogging Wednesday Logo Design Contest, with a deadline of November 1st. So far, I've received three submissions and at least a half dozen "I want to do one...I just haven't had time yet." responses. So, I'm going to extend the deadline until the end of the year. December 31st is the new deadline for submissions, which should be sent to lenndevours@gmail.com either as image files or in a PDF. I wish I had some design skills myself...but my skills are quite limited. I mean, who wouldn't want their design affiliated with the premier wine blogging event in the world?!?! Sorry for the lack of posts this week, everyone. It's been an insanely busy week between the day job, non-blog writing and spending some time with our favorite Obsessed ones. Oh...and we signed the contract to buy our first house this week as well...it's been a crazy one to be sure. I had a great tasting trip with Derrick and Melissa on Wednesday and then, because our Stony Brook class was cancelled, we had dinner with the founding mother of Long Island wine, Louisa Hargrave at her house in Jamesport. Once I dig out from under this deluge of "real life" I'll write more on the happenings and how much I enjoyed finally meeting the Schneiders...but for now, enjoy this picture of Derrick and Melissa at Shinn Estate Vineyards, where we spent almost three hours with owners David Page and Barbara Shinn. Since dogs are “man’s best friend” it only makes sense that they would have a place –- and an important one at that –- in many winery operations. By patrolling the vines, they keep the vineyard free of hungry birds and deer. Their friendship can cheer the staff with the wag of a tail. 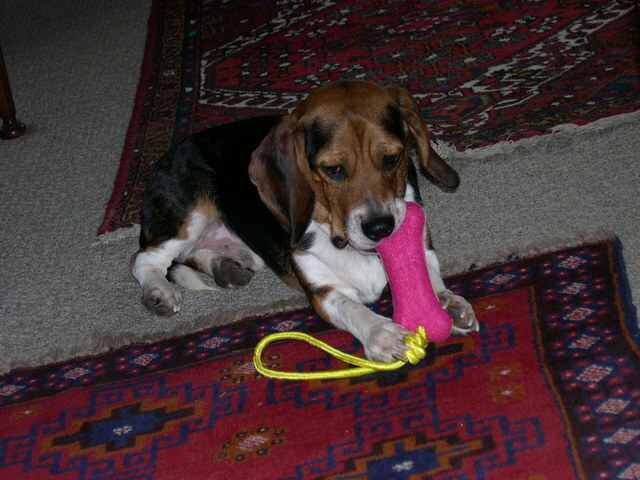 But perhaps most importantly, they serve as canine ambassadors in the tasting room, greeting and entertaining visitors. Besides, since a sense of smell is a big part of enjoying wine, who better to help sniff out the best? Okay, it’s official. Martha Clara Vineyards (and its winemaker, Gilles Martin) have climbed up my ranking of Long Island vineyards. I don’t actually have a list from one to thirty-plus, of course, but what was once a winery highlighted by its high-profile events is really starting to win me over with what matters — the juice. Sure, they still make (and sell) a ton of their white zinfandel-esque rose (isn’t the beagle-adorned label cute?) and the Glacier’s End line of wines, but a look further down on the tasting sheet reveals wines with nice varietal character that are worth elbowing your way up to their always-packed tasting bar for. After only about an inch of wine rain over the summer, Long Island's East End has endured at least a foot of the wet stuff in just the past seven days. The result -- water-covered roads, some vine damage...and very few tasting room visitors yesterday as Beau, Kori and I visited four of the six tasting rooms we had planned. I guess no matter how hard you try to stick to an itinerary, talking to owners/winemakers/tasting room staff always results in extended, and enjoyable, stays. If you want wine from the LENNDEVOURS wine rack, you have to go through Ben. You've been warned. I can't be held responsible for his actions. What do you get when the premier Utah-based wine blogger (Beau) gets together with the foremost New York wine blogger (that's me) and the Wine Goddess (that's Kori) on Long Island's bucolic, but currently soggy North Fork? Sadly, I can't take them to all of the places I'd like. 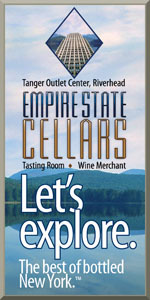 The wineries are only open from 11 a.m. to 5 p.m. after all. And unlike many winery visitors, we're not going to be plowing through the tastings. Six stops is about two times what Nena and I usually do. I only wish my lovely wife and tasting partner, Nena could join us. But, tomorrow is one of the few days she's had to work this week. Teachers sure get a lot of holidays, don't they? (Just teasing honey). 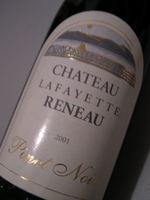 Chateau Lafayette Reneau isn't a new winery to the LENNDEVOURS tasting team. We've had their seyval blanc blend before (it's not bad) and for July's WBW#11, we tasted their Johannisburg Riesling. After I was disappointed by a different Finger Lakes pinot for the most recent WBW, I wanted to get right back on the proverbial horse and try another one. The cool growing conditions in that region make it hard for me to believe that someone isn't making good pinot noir there. This bottle proves me right. Tongue: "Now this is a nice pinot noir." Not the most complex pinot in the world, but nice cherry, spice and slightly earthy flavors. Some tannin (in a good way) and terrific acidity. Nice balance and a great food wine (like a pinot should be). 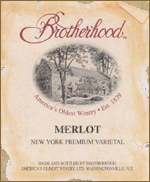 Brotherhood Winery was founded by John Jaques, with a first commercial vintage 1839. (see previous post) And while their winery and tasting room are located in Washingtonville, NY and thus in the Hudson Valley, the grapes for this particular wine were grown right in my back yard on Long Island. Any time I see that, I worry a bit. In my experience, most of the best grapes (particularly Merlot) stay on Long Island. There are exceptions I'm sure, but I digress. I popped the cork on this bottle to enjoy with Nena's spiced chicken black bean soup because I remembered a black peppery spice hint when we tasted this in Brotherhood's tasting room. Tongue: Simple, rather fruity and gulpable with slight black pepper character (less than I remembered) and just a little oak influence. It's medium-bodied and low in tannin. Comments: This wine falls into the category of "red wine" for me. I use that term to describe any of a number of red wines that don't really have anything interesting going on -- no complexity, no uniqueness, no depth or character. I can't say that it's a good value at $15 because you can find much better merlot in that price range. 250. For November's edition of Wine Blogging Wednesday, the fun and talented Fatemeh from Gastronomie isn't limiting us by varietal, country of origin or any else of the sort. Her one and only rule: drink a wine of which 250 or fewer cases were made. That's right, we're turning our eyes to the small producers this month. She's offereing bonus points to anyone who chooses a wine produced by a winery that makes fewer than 1000 total cases per year as well. To steal a baseball analogy...this theme is a batting practice fastball in my wheelhouse. I can choose from any number of local bottlings that are made in such small quantities. So I think I'm going to take the challenge even further and try to find the smallest production wine possible. I've got a few producers in mind...but it will take a little research. Sigh. 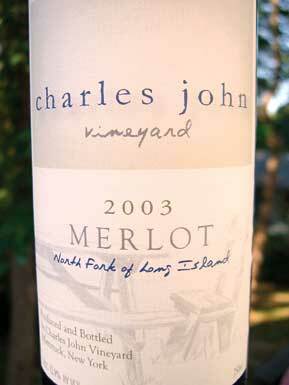 The 2005 vintage was widely expected to be one of the best ever on Long Island (particularly for red wines). 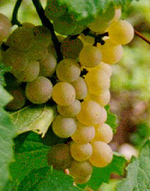 A hot, dry growing season led to small, concentrated fruit that was ripening extremely well. We literally have had almost no rain all summer and early fall...until the last few days. 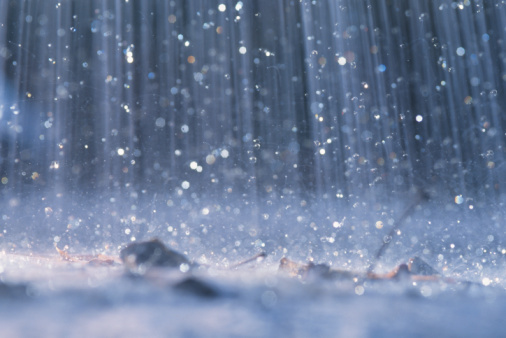 Rain has been soaking most of Long Island (and the eastern seaboard) for days...and I fear all that water is going to dilute the flavors and potentially neccessitate earlier-than-wanted harvesting. I know several vineyards already picked their chardonnay (and some other whites) before the rains...but most were holding onto the reds...pushing the limits of hang time. If you've spent any time trolling around the many wine blogs in cyberspace, you've probably seen the name Terry Hughes somewhere in the comments. 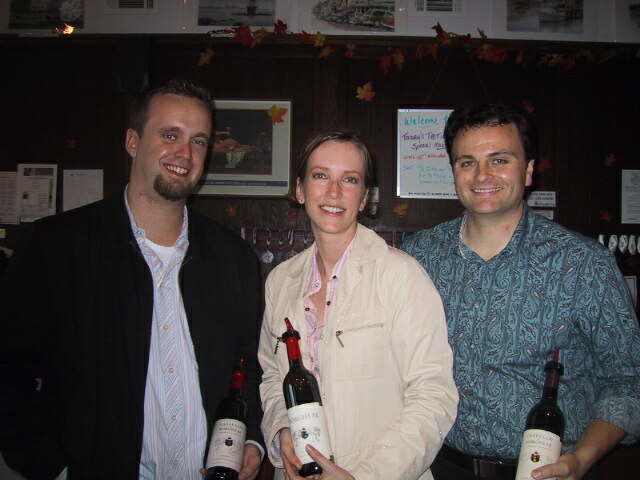 I first "met" Terry over at Vinography and have always enjoyed reading his insights. Well folks, he's finally broken down and started his very own wine blog (it's about damn time) -- Mondosapore. The focus is Italian wines and Italian culture. I've been using LENNDEVOURS to share my experiences with New York wines for well over a year -- but over the next two weeks I'm taking things to a whole new level. To start, the juicemaster general, Beau of BasicJuice, will be in my neck of the woods later this week (along with the Wine Goddess), so I'll be playing tasting tour guide on Friday. Any excuse to take a day off of work and taste wine, right? As if that weren't enough, next week the obsessed one, Derrick and I are teaching a class at Stony Brook University together and I'll be playing tour guide for him and his wife Melissa as well. It's going to be a fun couple of weeks...and hey, these are the first bloggers I'm meeting in person. The frenetic pumpkin-picking season is upon us, and while the throngs of families in SUVs and minivans can make it that much more challenging to get around the East End, this is one of the most exciting times to visit Long Island’s vineyards. Harvest festivals abound and wineries are filled with the intoxicating aromas of freshly squeezed juice fermenting. 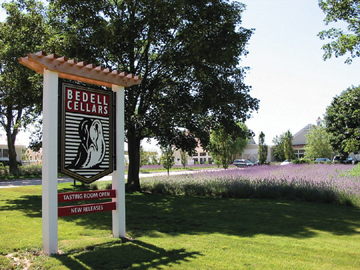 Bedell Cellars, one of our region’s most well-known producers, has much more going on than harvesting and fermenting the 2005 vintage. To upgrade both the winemaking process and the customer tasting experience, they’ve been busy making exciting changes to the facilities in Cutchogue. 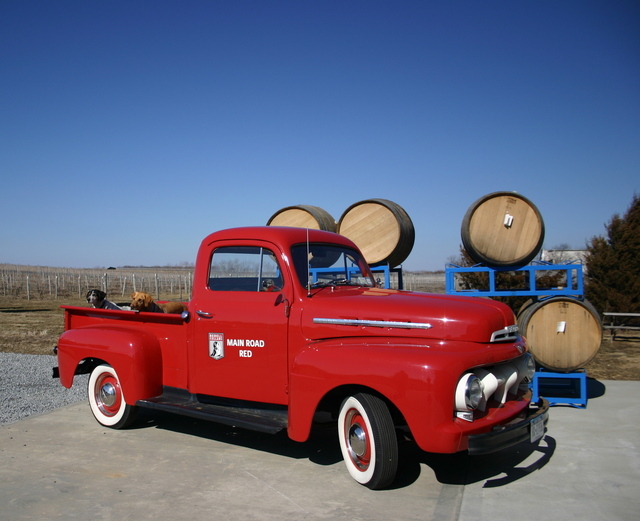 Check out Jens' roundup of the latest edition of Wine Blogging Wednesday. 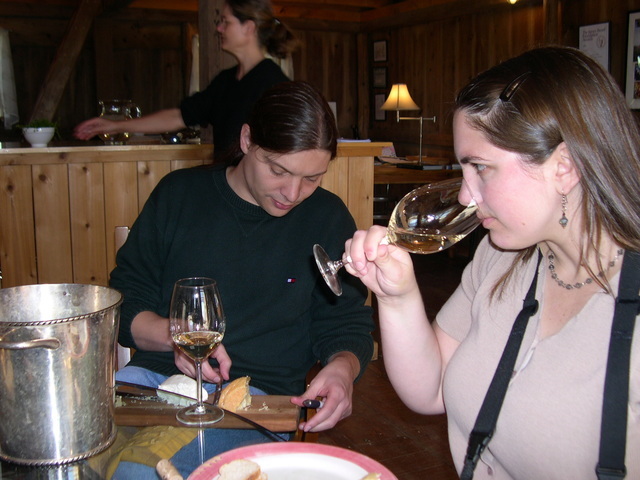 It's the first Wednesday of the month and you all know what that means -- it's Wine Blogging Wednesday, brought to us this time around by Jens of the Cincinnati Wine Garage. Jens has chosen New New-World Pinot Noir as the theme for this worldwide wine blogging festival. I have to say, this is yet another great WBW theme and one that I really enjoyed preparing for. For one, I love pinot noir this time of year. I drink quite a bit of white wine over the summer (you know how I love riesling) and, for me, pinot noir is the perfect transition into the deep, rich reds I prefer in the cold of winter. Pinot noir seems meant for the autumnal table too. Of course, I also like this theme because it gives me a great excuse (like I need one anyway) to drink wine from the state I now call home -- New York. 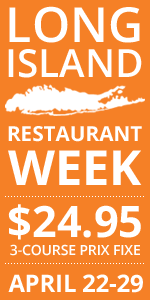 But, you'll be glad to hear that I've decided not to review a Long Island wine for WBW. Instead, I chose Fox Run Vineyards 2002 Reserve Pinot Noir ($25). If you like acidity and character in your riesling -- you know the type of wine that shows why riesling is the king of all white grapes -- you probably don't like California bottlings. That's all about to change for riesling produced by Creative Wine Concepts in Napa Valley. They just bought fives tons of Finger Lakes riesling grapes. I think that Creative Wine Concepts CEO, Scott Harvey says it best when he says he wants to “to make rieslings from where they grow best.” In the U.S., that means the Finger Lakes region of New York State. If you haven't tried Finger Lakes riesling, you've never tasted the best this country has to offer.